The Goomalling Sporting Car Club was started by Charlie Dent, Ted Nicholson, and Milton Royal in 1939, these 3 would travel to Dowerin to race at the showgrounds. During 1939 the Goomalling club would orginise an event at the old disused horse racing track, racing in Goomalling like most of Australia would come to an end because of the war, The three men that started the local club and the racing would all head off and join the Airforce to aid the war effort. With the end of the war racing returnd to Goomalling, this time around the unsealed streets of the town, the original 3 drivers that started the club would lead the charge to shift the focus on motorsport to Goomalling from Dowerin in those post war years. the programme for the day on the 6th of June would consist of motorcyle sidecar and car racing. Motorcycle and car racing was held on the streets of Goomalling on the 5th of June 1950 weekend. 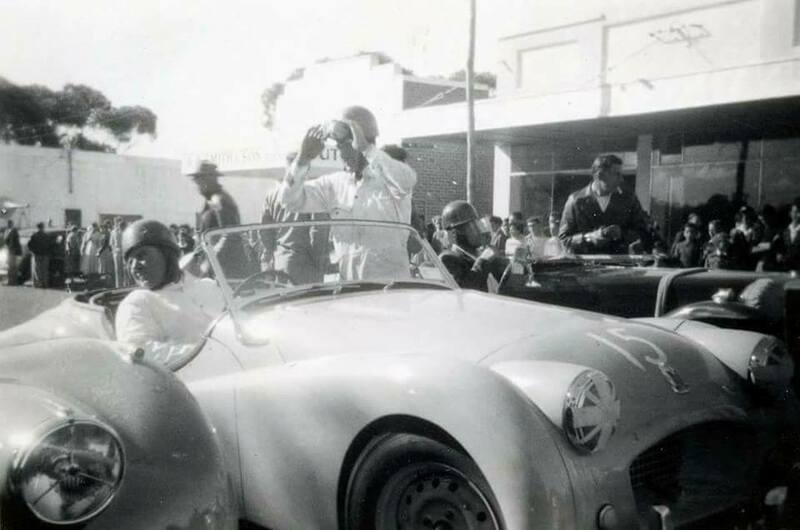 1950 - David VanDal in his number 7 Morgan around the streets of Goomalling. Photo: Ken Devine collection. Motorcycle and Car racing was held on the streets of Goomalling in 1951. Syd used to tow his double V8 race car to the meeting's and use the Studebaker in production car races and gymkanas. Motorcycle and car racing was held on the streets of Goomalling on the 2nd of June 1952 weekend. 1952 - George Best in his Cooper MK1V at Goomalling. Photo: Ken Devine. 1952 - Syd Negus. Photo: Ken Devine. 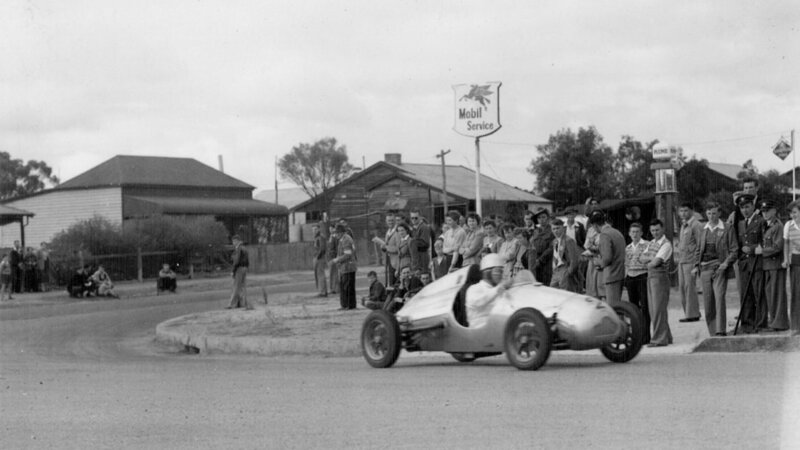 1952 - Sydney Anderson in his double V8 special on the streets of Goomalling. Photo: Lloyd & Barb Hartree. 1952 - unknown. Photo: Ken Devine. Motorcycle and car racing was held on the streets of Goomalling on the 1st of June 1953 weekend. Motor Cycle and Car racing was held on the streets of Gommalling on the 7th of June 1954 weekend. 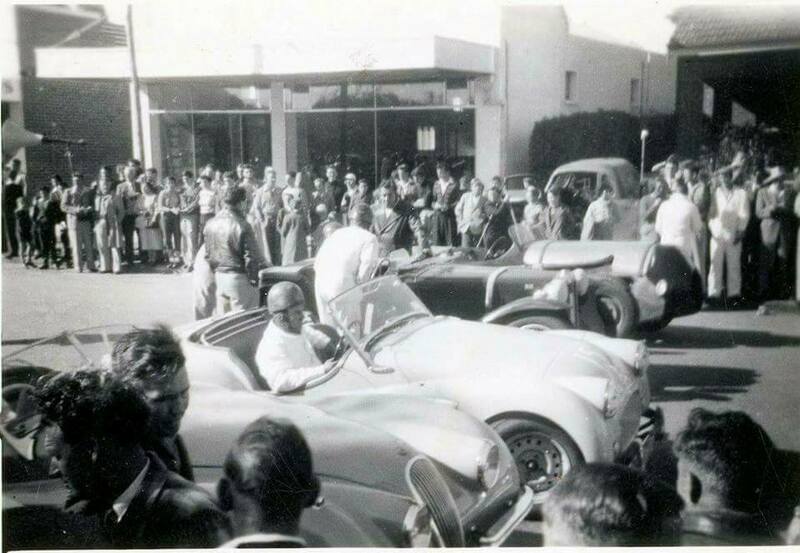 1954 - On the start line for the Goomalling Speed Classic. Photo: Ken Devine collection. 1954 Vin Smith in the Ford Ballot V8 on the streets of Goomalling. Photo: David Van Dal. 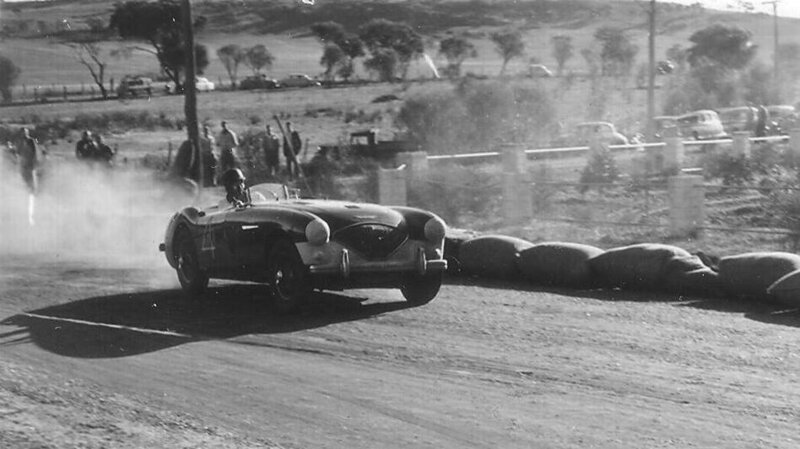 1954 - Syd Anderson in the Austin Hearly on the unsealed streets of Goomalling. Photo: Ken Devine collection. Motor Cycle and Car racing was held on the streets of Goomalling on the 6th of June 1955 weekend. Year unknown. Photo: Ken Devine. 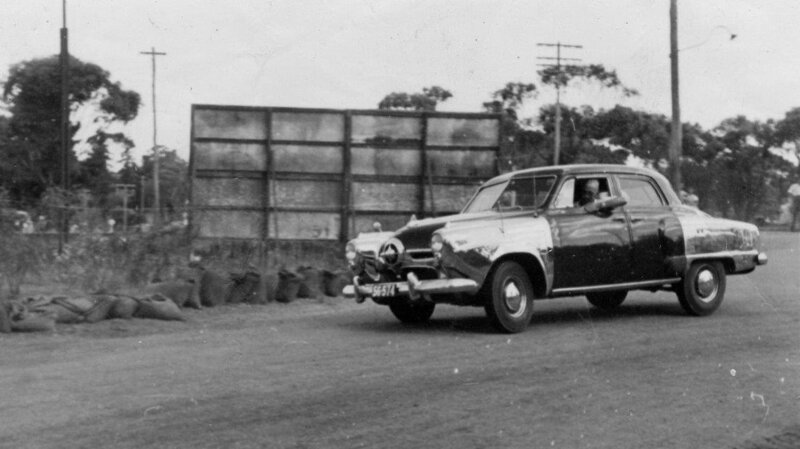 Year unknown: The Metcalf Citroen on the pace at the Goomalling Speed Classic. Photo: Ken Devine collection. We have had imformation come forward that there may have been a Speedway in the Goomaling District if you can help please contact us BM.